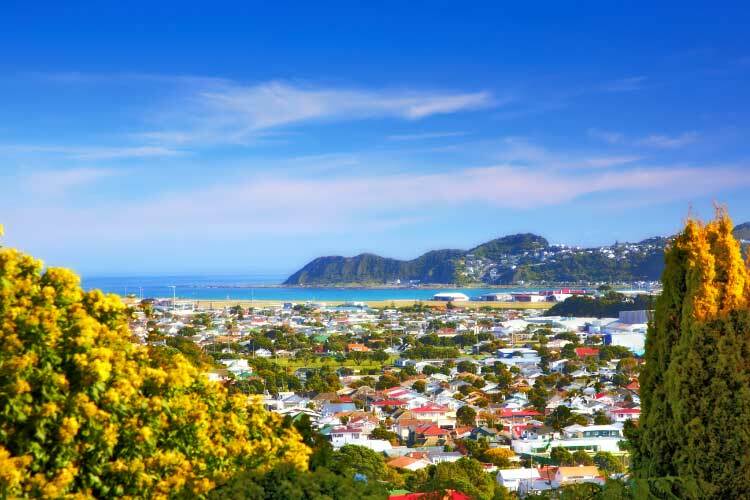 Though New Zealand’s largest airports service Auckland and Christchurch, the country’s capital is actually Wellington. Travelers on a budget will find themselves able to spend around $40 per day, though for a more comfortable stay one is advised to plan on spending $75 per day. New Zealand’s temperatures vary wildly based on season, location, and proximity to the coast, but expect temperatures between 5-10˚C (40-50°F) during winters and 27-32˚C (80-90°F) during the summer. 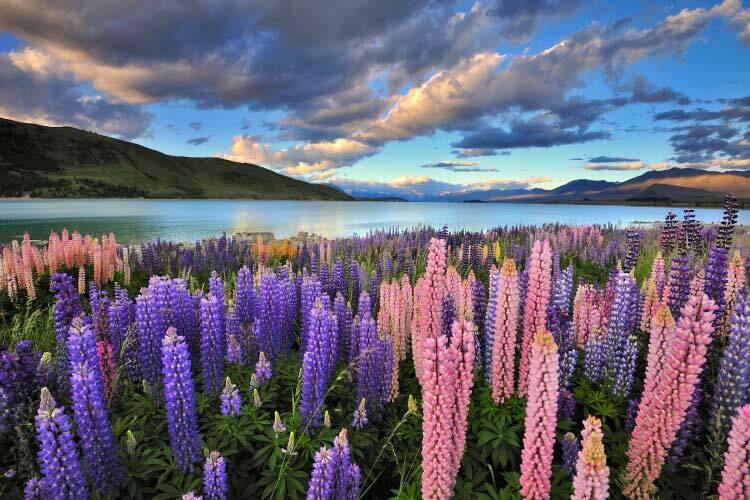 Peak tourism in New Zealand happens in the summer, typically beginning a week or two before Christmas and ending in mid-February. Handmade jewelry is one of New Zealand’s classic souvenirs. 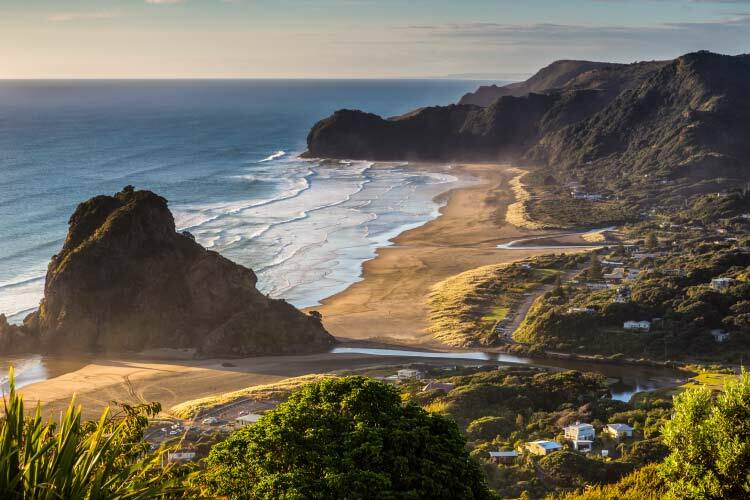 Despite its relatively remote location in the Pacific Ocean south of Australia, New Zealand’s gorgeous landscape and high standard of living have made the country a very popular travel destination. The country spans two islands, which are traditionally called Tel Ika-a-Mäui and Tel Waipounamu, but today usually referred to as the North and South Island, respectively. Because of the vast expanse of ocean lying between New Zealand, the island nation was likely one of the last areas colonized by mankind. In fact, prior to mankind’s arrival during the 13th century CE, the islands were thought to be completely devoid of any type of terrestrial mammal, with the possible exception of bats. Because of this, many of New Zealand’s birds, reptiles, and insects evolved to fill the ecological niches normally filled by mammals. Furthermore, the country features a huge number of biomes, ranging from mountains to coastline to rainforest. Both of these two factors have caused the country to become one of the world’s top ecotourism destinations. 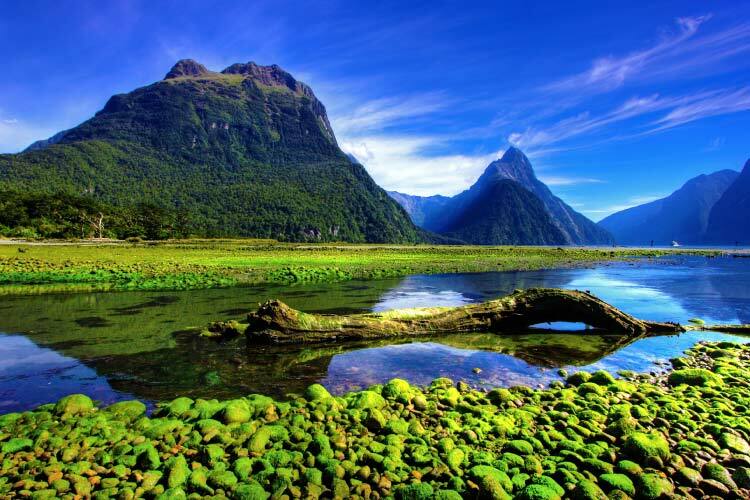 In addition to ecotourism, New Zealand also draws travelers attracted in its cultural heritage. The country was first inhabited by Polynesian immigrants during the mid-13th century; the descendants of these early travelers are called the Mäori and are considered New Zealand’s “native” people. The Mäori lived in tribal groups for years before a Dutch explorer named Abel Tasman in 1642. Unfortunately, this first meeting between the Mäori and the Europeans went poorly, ending in five deaths. This discouraged Europeans from returning to the island for another century. When they did come back, they brought with them numerous new crops, weapons, and diseases. Intertribal competition and disease resulted in bloody warfare between the Mäori people during the Musket Wars of the first half of the 1800s. Ultimately, the UK took advantage of the situation, claiming sovereignty over the country in 1840. Though it took only 16 years for the country to begin ruling itself again, it wouldn’t be until the conclusion of WWII that the country gained official independence. Since then, New Zealand has done remarkable well in the shipping, tourism, and natural resource industries, consistently ranking among the world’s top ten wealthiest nations. In recent years, New Zealand has also risen in prominence in the filmmaking industry, with numerous high profile movies (most notably The Lord of the Rings) being shot in the country. As New Zealand’s largest city and home to its largest airport, it’s no surprise that most travelers pass through Auckland. This large city holds nearly 1.5 million residents as of 2015, this equates to almost a third of the country’s population. Due to its size, Auckland has lots to offer travelers, from relaxing on the beach to investigating European colonial buildings to indulging in the city’s thriving nightlife scenes. Auckland sits between the northern tip of the North Island, and several small islands exist near you. Tiritiri Matangi Island is a particular beautiful island that’s been preserved as a park; we definitely recommend a journey to Tiritiri Matangi if you want a sense of what New Zealand was like before humans. The South Island’s largest city by quite some margin is Christchurch. Most travelers agree the city is by far one of the most beautiful in the country, as its nickname “Garden City” references. Unfortunately, Christchurch was wrecked by two large earthquakes in 2010 and 2011, killing 185 people and causing widespread structural damage near the city centre and eastern suburbs. However, the city has begun to recover, and there’s still plenty for travelers to see. For instance, tourists can visit the Botanic Gardens, which sit next to the excellent Canterbury Museum. One of Christchurch’s more unique (and expensive) attractions is the International Antarctic Centre, located in the airport. This unique interactive attraction exhibits Christchurch and New Zealand’s history in Antarctic exploration, complete with penguins, a polar weather simulator, and ATV rides. Christchurch also holds Orana Wildlife Park, a very progressive and beautiful zoo. As we’ve previously mentioned, a number of biomes are represented in New Zealand, including stunning fjords in the southern section of the South Island. The appropriately named Fjordland National Park contains many of the island’s most famous natural sites, especially near Milford Sound. This picturesque fjord is widely considered New Zealand’s most popular destination, and is truly one of the most beautiful places around. Be sure to take an early morning hike to take in the sun rising peacefully above the sea and slowly filling the spaces between the branches. 1. Auckland holds nearly a third of New Zealand’s inhabitants, and as such its nightlife scene is quite active. During the day, be sure to visit one of the many volcanic cones, such as Mt. Eden. These offer great views of downtown. Alternatively, try to relax on Mission Bay, a beautiful and bustling beach. 2. 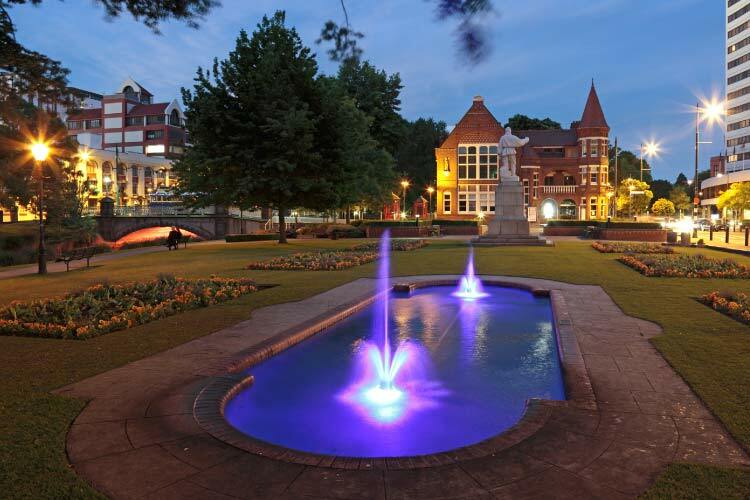 Hamilton is a charming town with a fantastic zoo and charming city gardens. Though the town is inland, it’s not devoid of water, and visitors are encouraged to explore the central Lake Rotoroa. Hamilton is also known for its vibrant arts scene, particularly among its large student population. Head to ArtsPost to see exhibits and purchase both local and national art. 3. Though Hobbiton is in no way representative of what New Zealand is like, fans of the movie absolutely need to stop by the fictional home of the Baggins of The Lord of the Rings franchise. After the Peter Jackson movie was shot there, a huge number of props and architectural structures were left behind, and fans of the movie today can enjoy the unique experience of life in the Shire. 4. Be sure to spend time exploring the halls of Te Papa, New Zealand’s national museum in Wellington. Then, head over the Parliament Buildings to see the central point of the New Zealand government (currently, only the grounds are open to visitors). Furthermore, enjoy Zealandia, a wildlife reserve which provides predator free habitats for New Zealand’s most endangered species. 5. The Riccarton Bush in Christchurch is the last remaining example of forest in the Canterbury Plains. Then, head to the International Antarctic Centre in the airport to experience a number of different polar themed challenges, including ATV rides and weather simulators. At night, enjoy one of Christchurch’s famous eateries; the Asian restaurants near Church Corner are particularly delicious. 6. 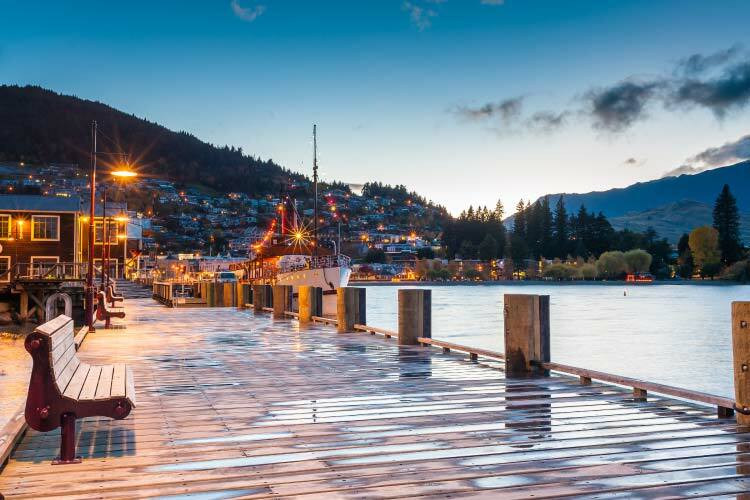 Queenstown (pictured below) is a particularly touristy town on the South Island, though its natural beauty is largely unmatched. The city sits on a gorgeous lake, which offers boating, fishing, and relaxing on the shore. Queenstown also features a large number of fun outdoors activities, including ziplining, rafting, skiing, and hiking. 7. Dunedin’s city centre, The Octagon, is quite lively and lined by several upscale restaurants, clubs, and bars. To work off all those calories, head over to Baldwin Street, which was certified the world’s steepest street. Dunedin also has a lovely harbour with a beach, though the water is quite chilly for most of the year.